Please join us for a Q&A session with the Honorable Michael T. Mason. This is an opportunity to learn everything you always wanted to know about federal practice but were afraid to ask! Space is limited, so RSVP today. 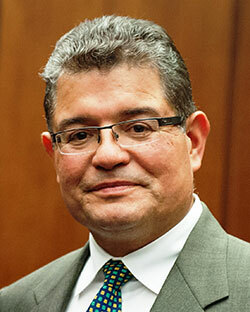 Chief Judge Ruben Castillo will provide opening remarks. Jeanah Park will interview Judge Mason about his career, his most memorable cases and his advice to attorneys of all experience levels on how to be an effective advocate. Co-sponsored by the FBA In-House and Employment Law Committees. Bring your own lunch. FBA members, non-members, and law students are welcome to attend.